I’m so glad you’re here! As a fellow online entrepreneur, I know the value of every minute and the hard work you put into keeping your business running smoothly. We both know there are many pieces to the puzzle of running a successful online business and having enough time to devote to yourself and your family. That’s where I can help. 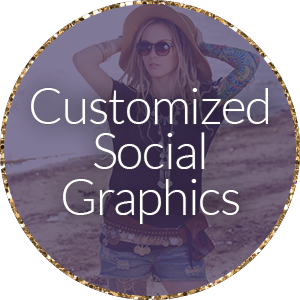 Creating graphics is my thing and it’s my mission to make you look good online. I want to help you shine!